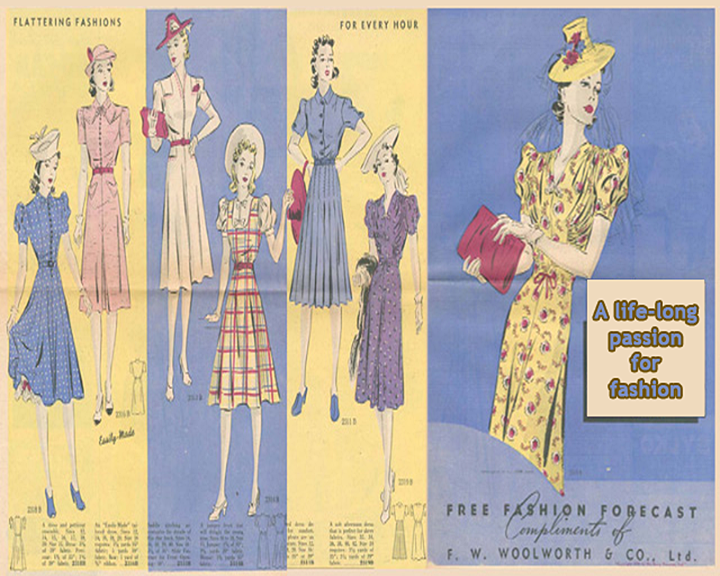 This short film takes a whistlestop tour of how the F. W. Woolworth fashion counters changed over 99 years in the High Street. We've embedded the film using HTML5 video and video.js. Recent versions of Microsoft Internet Explorer, Mozilla Firefox, Opera, Safari and Google Chrome are supported. Click the 'CC' icon for audio description for the hearing impaired. Enjoy the film! Some browsers require you to enable closed captions in 'settings' before they are displayed. Soundtrack: The Palais Royal Dance Band 'Easter Parade' on Eclipse Records 931A from 1934. Videography © Copyright 3D and 6D Pictures Ltd for the Woolworths Museum.